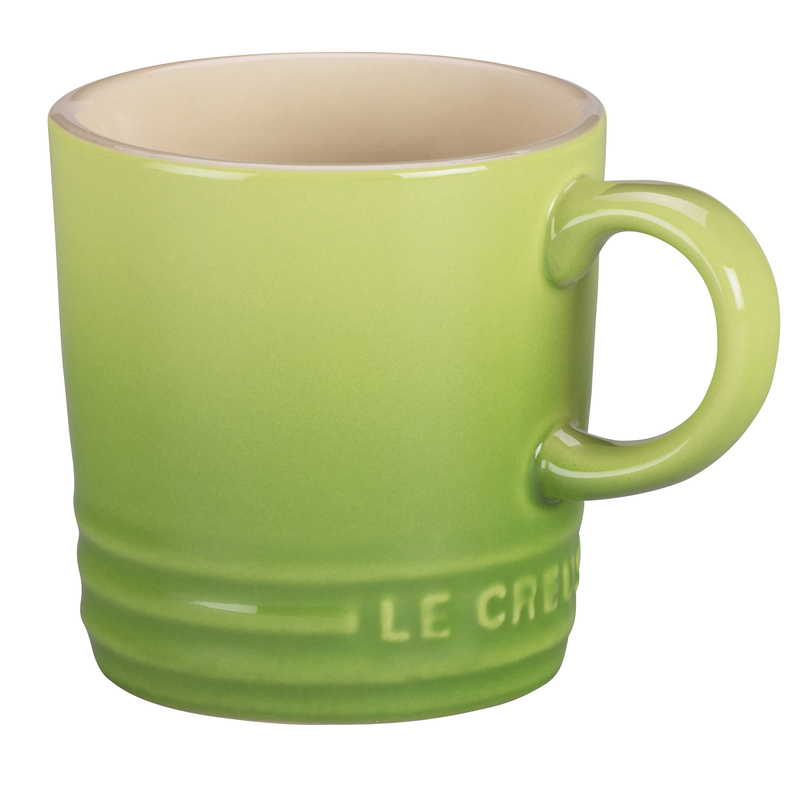 Enjoy the perfect amount of espresso with this petite mug from Le Creuset. It is made from a durable enameled stoneware that blocks moisture absorption and prevents cracking, crazing, and rippling. This petite mug also features an impermeable enamel that is resistant to stains and scratches. Designed with you in mind and modeled after Le Creuset's larger coffee mug, it features a simple ridged pattern at the base and a handle for an easy and secure grip. Backed by a manufacturer's five year warranty, this dishwasher safe cup is nearly-nonstick for a quick and easy clean up.